Earn up to 153 Points. 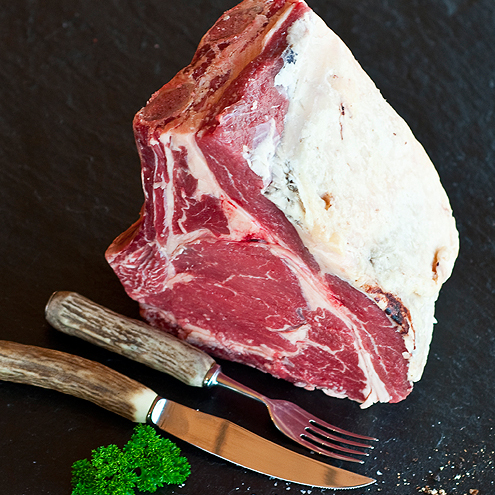 Of all the roasts on the bone, the rib roast has to be the one with the most flavour to it. It has a fantastic texture to it and has a real depth of flavour thanks to the breeds of cattle that we use and the fact that we hang it for at least 3 weeks. 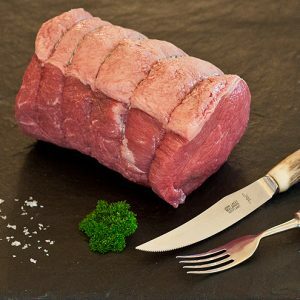 Our succulent rib of beef is extremely popular at Christmas time. I have bought this joint for our Christmas Day dinner for a few years now and am never disappointed. 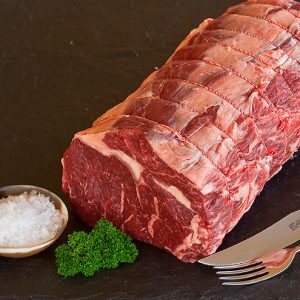 It has just the right amount of fat ratio to meat, which results in a beautifully tender and succulent meat once cooked. Year on year we buy this joint from Macbeths for New Year’s Day. As usual we were not disappointed and once again everyone commented on the superb taste and quality, we would recommend you to anyone. We have had our Christmas dinner joints from Macbeths for a few years and have never been disappointed. This year we tried a Rib Roast on the Bone as we were going to my parents for dinner and I didn’t want to go without my Macbeths meat (no compromise for Christmas!) – we were all highly impressed! 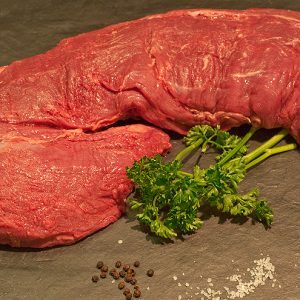 Beautifully tender and just perfect, Macbeths never fail to provide the perfect meat for the perfect meal! I ordered this joint for my Mothers 60th Birthday and it arrived the following day in Dorset. It was absolutely delicious, some of the best that I have ever tasted. As noted in previous reviews, the fat to meat ratio was perfect. I will certainly be ordering again, and hopefully in the not too distant future! Had this roast for xmas and it was superb. Great service and advice received from Jock and his staff. Would highly recommend. 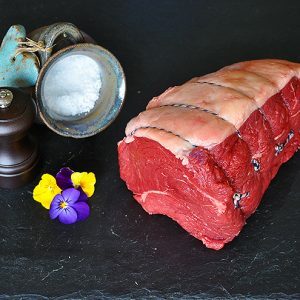 i ordered this beef at good food show for first time for xmas.it was beautiful and very moist enjoyed by all the family,will be sure to order it again very soon. Never disappointed with my rib roast, beautiful tasty succulent meat. The team at Macbeth never let me down with their products, will certainly be buying from them again. I bought a rib roast for a meal just before Christmas 2015. My son had invited 2 friends, who, I am sorry to say were used to overcooked silver side and frozen roast potatoes and Yorkshire puddings with gravy granules. Well your rib roast certainly changed their view of roast beef! It was a 4 lb joint and was totally consumed. Excellent meat as always! Had three ribs; cooked using Heston Blumenthal at low heat until 55degrees. Took 5 hours. Was absolutely fabulous. As ever a delicious joint of Rib Roast, my favourite and most flavoursome of cuts… every now and again I have to have a piece of Macbeth’s beef – I now live away from the Forres area and I have to say the delivery system has always been perfect – what a joy to get a bargain with 15% discount this time round – thank you all, I’ll be back ! Many thanks for your review, glad that you enjoyed.